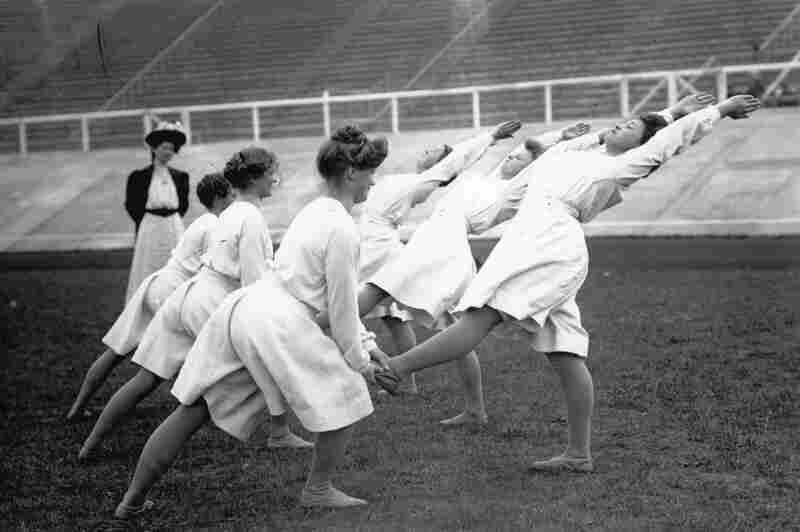 London 1908: The Most Dapper Olympics : The Picture Show Imagine a time when women wore dresses for the high jump, and tug of war was an Olympic event. Welcome to 1908. 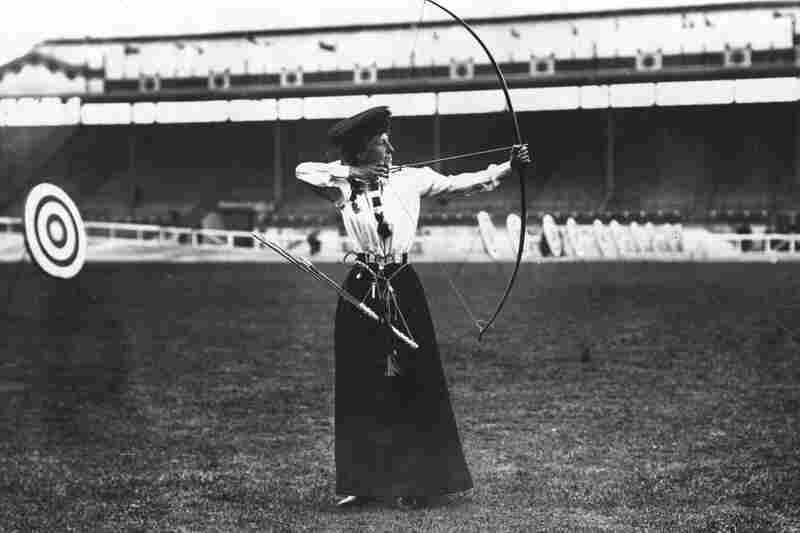 Beatrice Hill-Lowe was the bronze medal winner in women's archery. 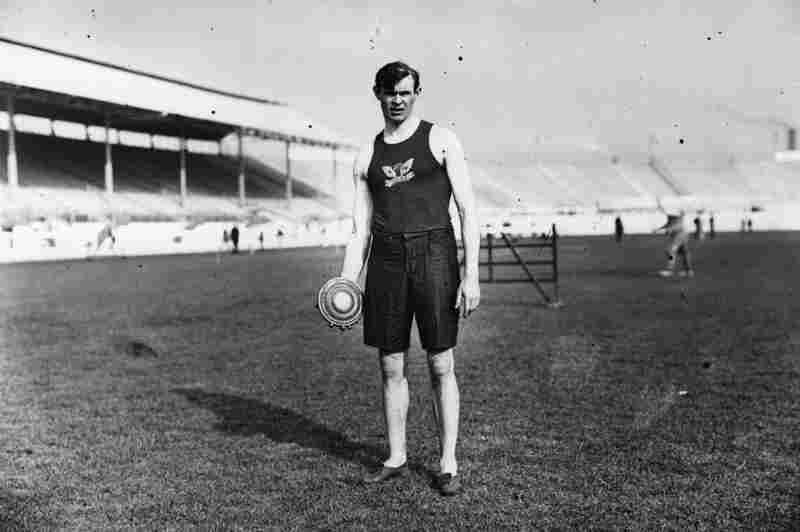 John Taylor of the United States training for the quarter mile. 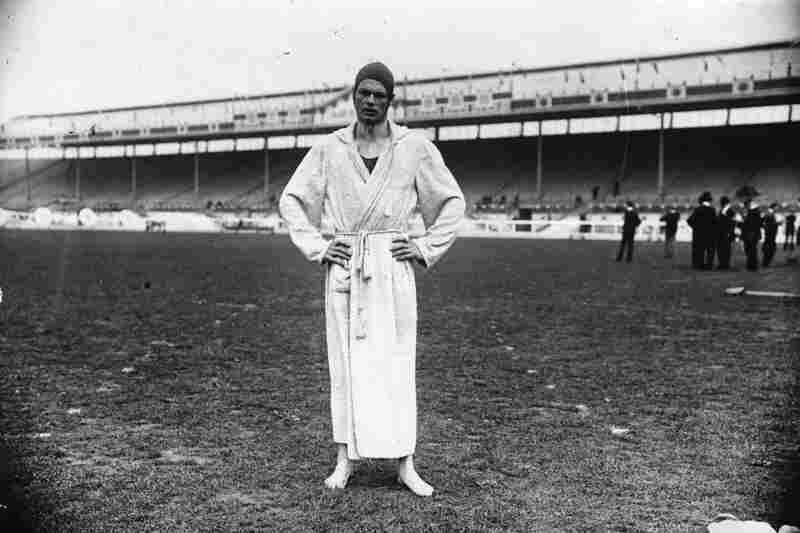 American Charles Daniels won five Olympic swimming gold medals between 1904 and 1908, including the 100 meter freestyle event in London. 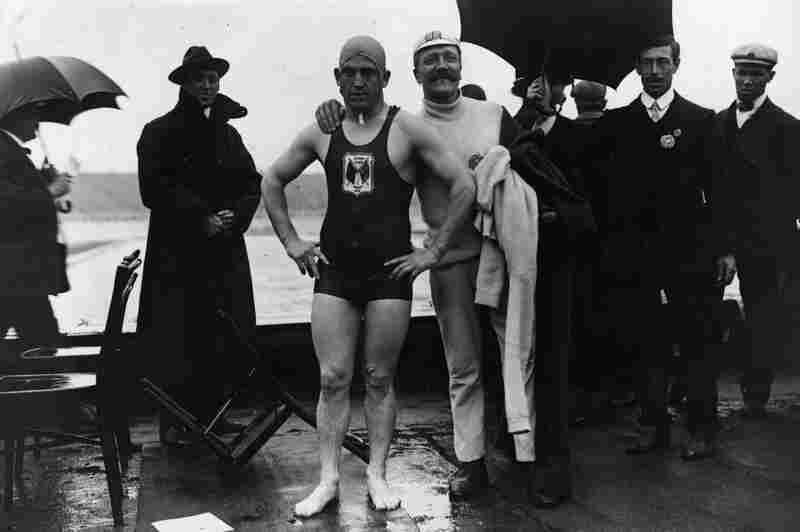 British swimmer Henry Taylor, who won a 400 meter race, with his trainer. 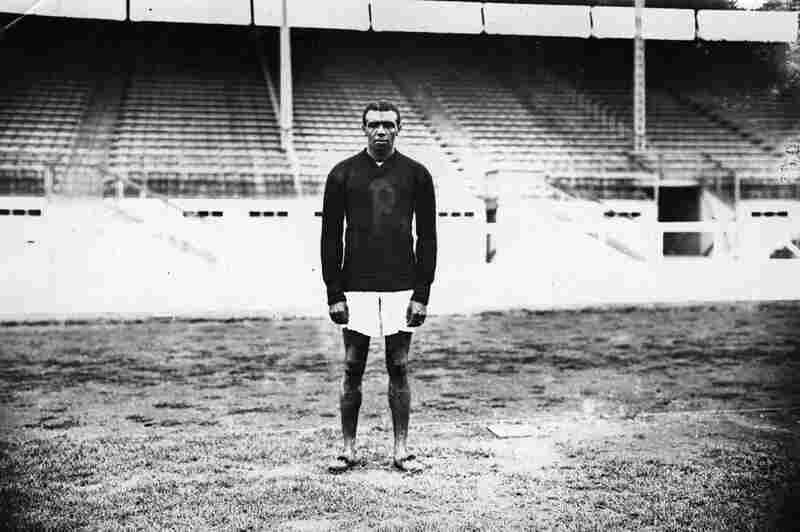 South African Reggie Walker, winner of the gold medal in the 100 meters in track and field. 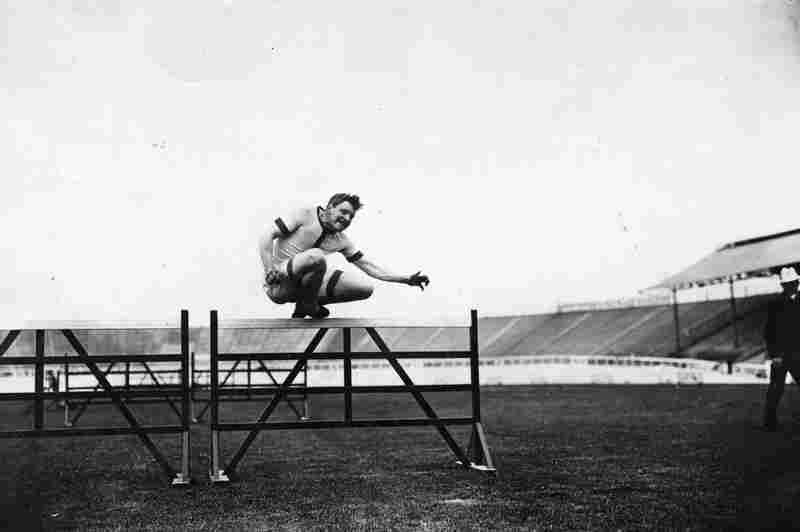 Eric Hussey of Great Britain training for hurdles. 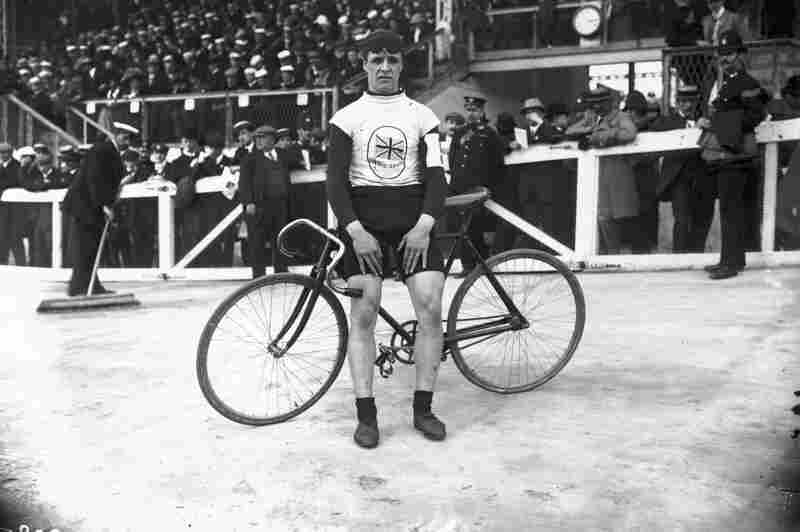 British cyclist Ben Jones, winner of the 5000 meter bike race. 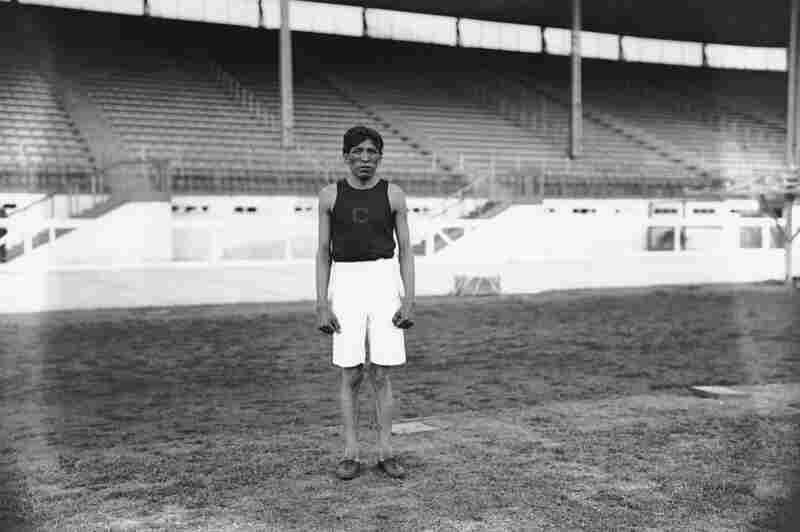 American Ralph Rose prepares for the shot put event, in which he won the gold medal. Irish high-jumper Cornelius Leahy won the silver medal with a jump of 1.88 meters. 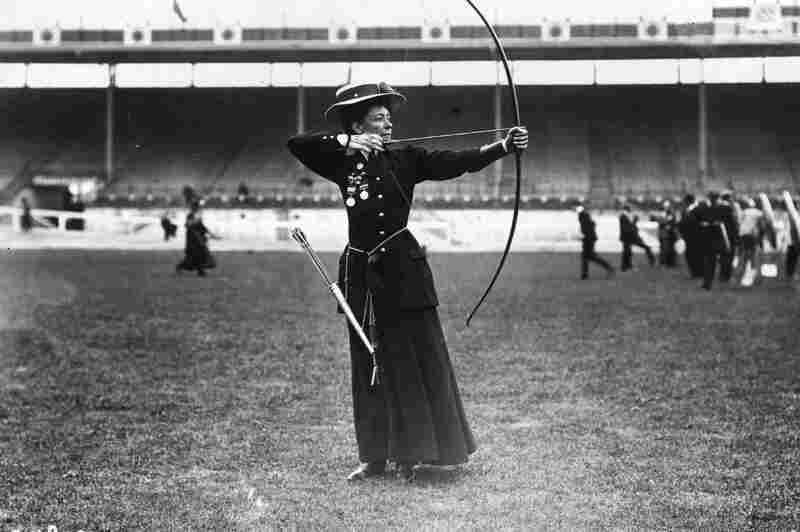 Queenie Newall of the United Kingdom, gold medalist in women's archery. 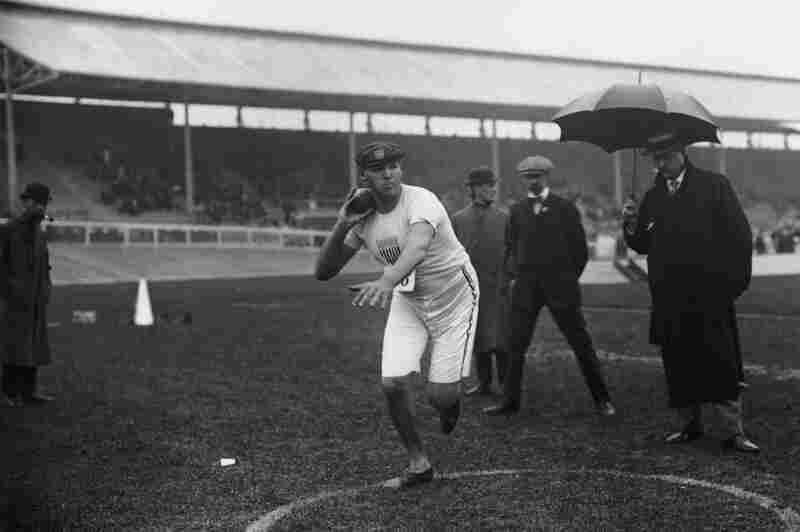 Martin Sheridan of the United States won the gold medal in discus as he had done at the 1904 and 1906 Olympics with an Olympic Record of 40.89 meters. 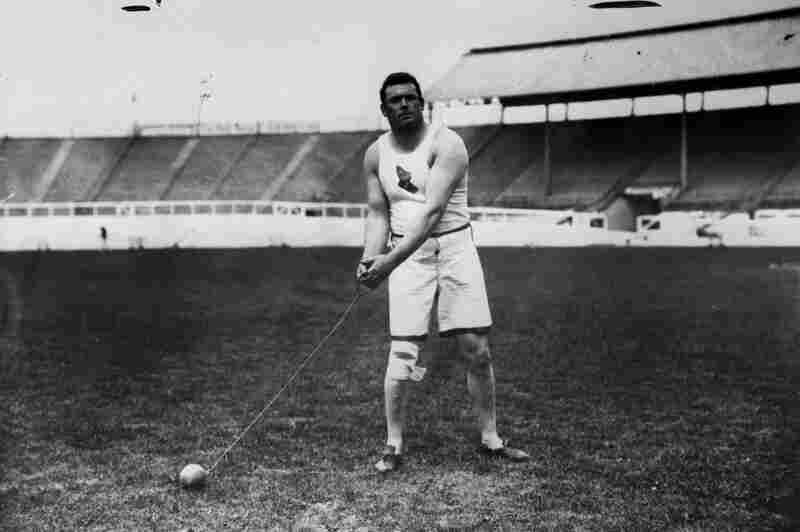 Matthew McGrath of the United States was the world record holder in the hammer throw event at the time, but finished second to fellow American John Flanagan. 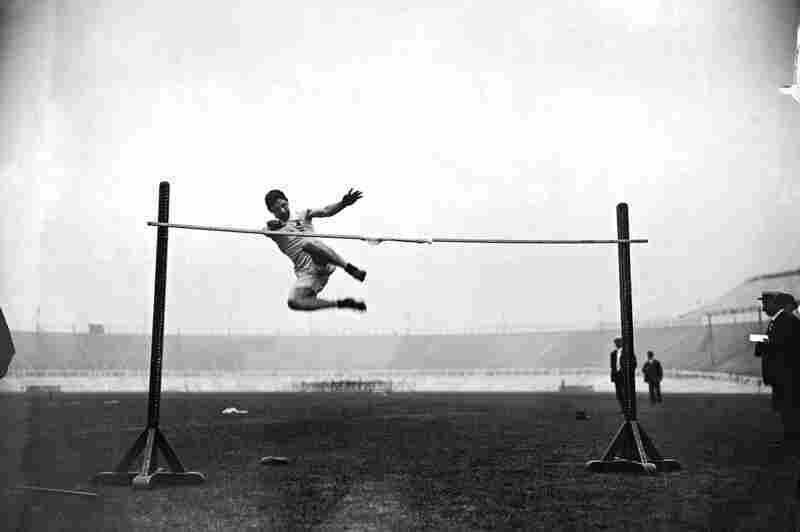 He won the event again at the 1912 Olympics in Stockholm. 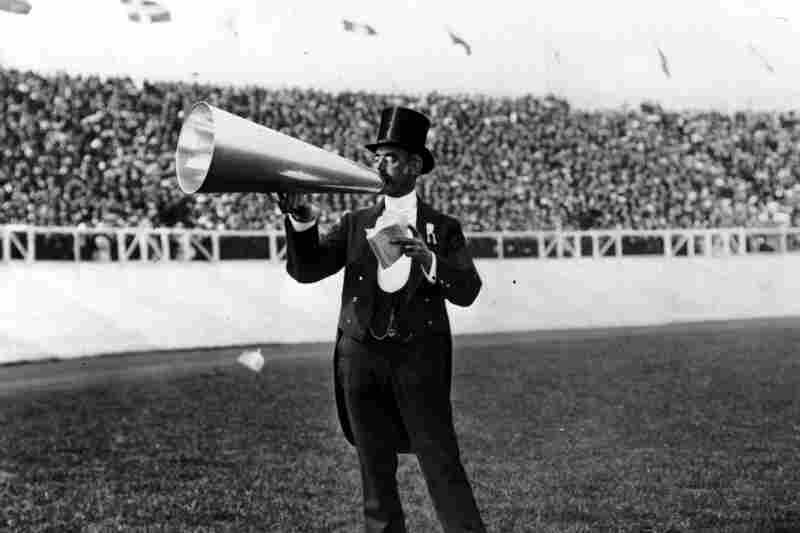 The master of ceremonies using a megaphone. 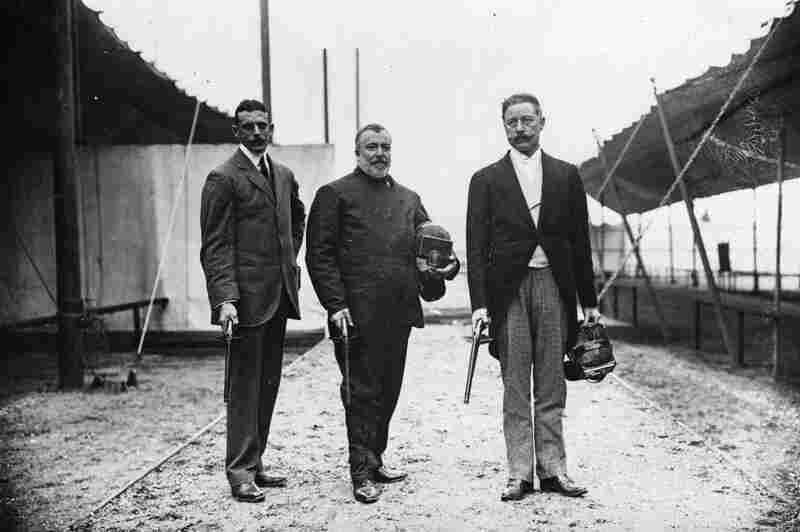 Members of the British fencing team with dueling pistols, which had been an event in 1906. Sir Cosmo Duff Gordon (right) would, a few years later, survive the sinking of the Titanic. 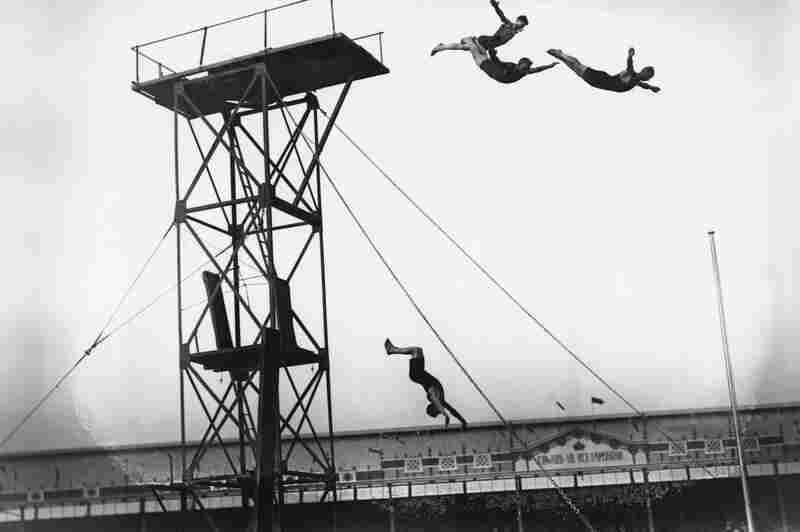 The Danish gymnastics team practicing. 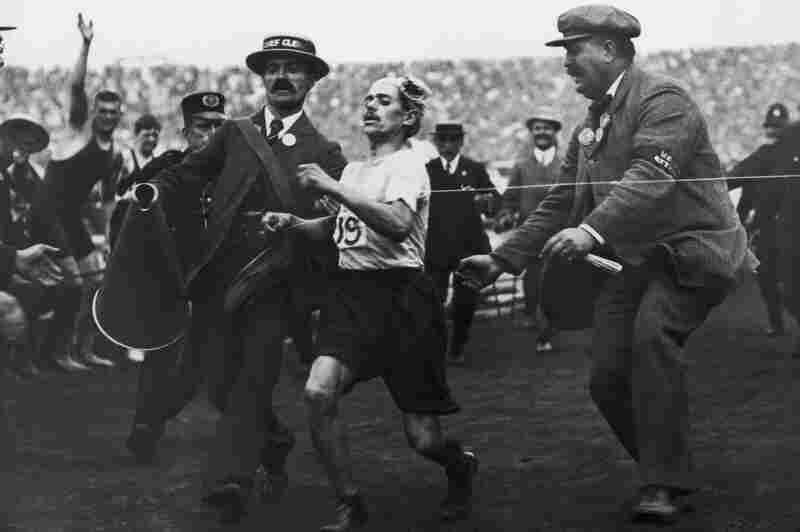 Dorando Pietri of Italy, on the verge of collapse, is helped across the finish line in the marathon. He was subsequently disqualified and the title was given to John Hayes of the United States. 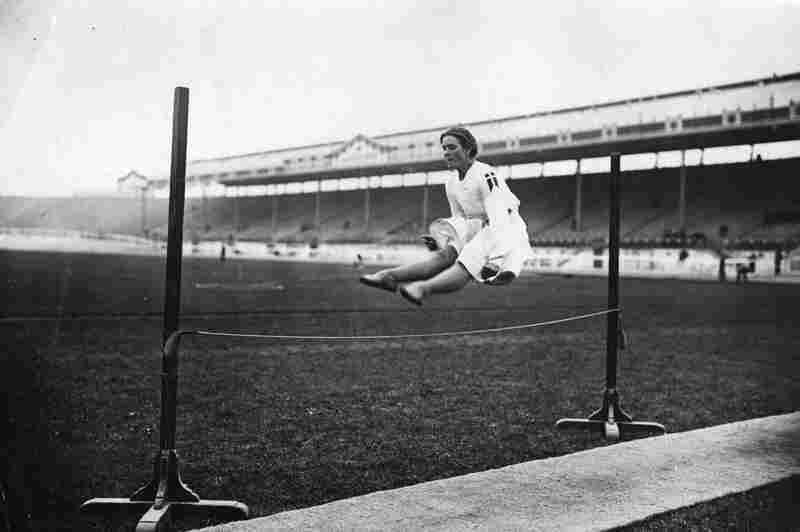 Imagine a time when women wore dresses for the high jump, and tug of war was an Olympic event. Welcome to 1908. 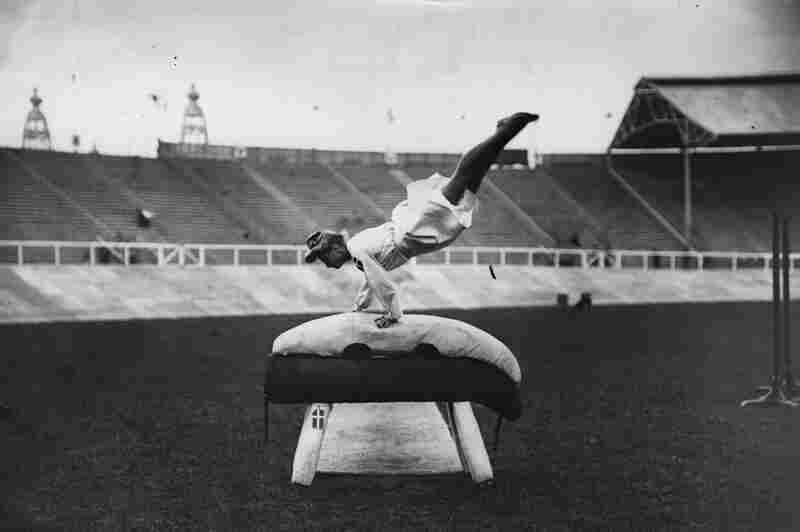 It was the first year London would host the Olympics, and the third games in which women were allowed to compete. 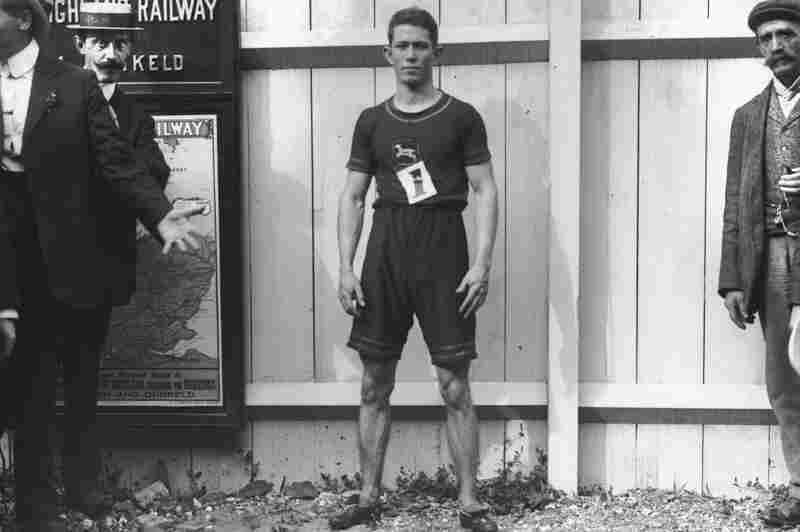 One of the biggest upsets in the 1908 games was when Italian marathoner Dorando Pietri was disqualified for having been helped across the finish line. The gold medal then went to American runner Johnny Hayes. I personally think they should bring back the tug of war. And maybe red rover. Who's with me?